I’m Ed Smith, a Sacramento motorcycle accident lawyer. Traffic fatalities went up in every category across the nation in 2016, including motorcycle deaths. There were 5,286 deaths of motorcyclists that year, an increase over the 5,029 fatalities the previous year, according to statistics by the National Highway Traffic Safety Administration. 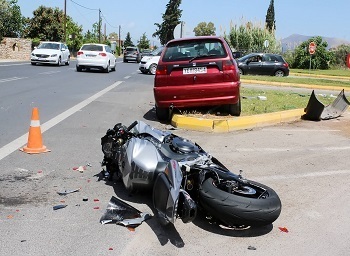 Because motorcycle riders are vulnerable due to their lack of protection, they are more apt to suffer injuries or be killed in a collision than those in passenger vehicles. According to the Insurance Information Institute, out of the more than 8,600,000 motorcycles registered in the country. In 2015, there were around 88,000 reported injuries, many of them due to traffic collisions. Vehicles turning left: Left-turning vehicles cause around 42 percent of all crashes with motorcycles. In some of these accidents, the motorcyclist is passing through an intersection. In others, the bike rider is traveling in the lane next to a motor vehicle. Lane splitting: Although legal in California, accidents between motor vehicles and motorcyclists occur due to the close proximity of the motorcycle or because a driver is unaware of the motorcycle’s presence. Speeding: When either a motorcycle rider or driver is traveling above the speed limit, it reduces the amount of time needed to stop in an emergency and can result in serious injuries. A motorcyclist who speeds in areas where there is gravel, rough road or sharp curves is also more likely to be involved in a crash. Car doors: A driver parked at the side of the road who suddenly opens a car door without looking for oncoming traffic can cause a collision with a motorcyclist. Changing lanes: Drivers can be negligent in checking that the other lane isn’t occupied when changing lanes. This can also sometimes be because of blind spots present in many vehicles. Drunk driving: Drunk drivers are a major cause of all types of motor vehicle collisions, including motorcycles. However, this is also a problem with motorcyclists themselves. Road defects: Potholes, heaved spots in the road, cracks and joints can all contribute to motorcycle accidents. 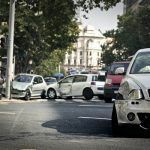 In these cases, a government entity may be responsible for any accident injuries or deaths that occur from a road defect. Lower extremities: About 30 percent of injuries in a motorcycle accident are to the legs and feet. Broken bones: Fractures are common and most likely to occur in the legs or arms, particularly if the rider is thrown from the bike. 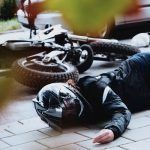 Brain injuries: According to reports, 80 percent of fatalities in motorcycle accidents are caused by traumatic brain injury. The risk of death or serious injury is lowered when the rider is using a DOT-approved helmet. Dislocations: A dislocated joint is known to occur in motorcycle collisions, particularly of the shoulder. Spinal trauma: Injuries to the spine can affect sensation, strength and the ability to move. The extent of injury depends on the location along the spine. I’m Ed Smith, a Sacramento motorcycle accident lawyer. 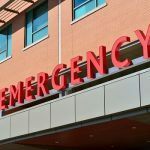 When facing mounting medical bills, lost time from work and other expenses because of your motorcycle accident injury, a seasoned lawyer might be able to help. Phone me if you would like to hear my free and friendly advice. I can be reached in the Sacramento area at (916) 921-6400. Outside the calling area, my toll-free number is (800) 404-5400. I belong to the forum at milliondollaradvocates.com, which represents top attorneys around the nation who have won in excess of one million dollars in a client settlement or verdict. 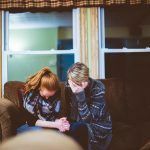 It has been my privilege to have served Sacramento residents and those from Northern California in helping them obtain fair compensation for their severe injuries. This includes wrongful death cases and all types of motor vehicle accidents.